The Scion xB is a hugely successful micro van. Toyota hit a home run with the entire Scion line-up, and you can see teenagers and adults alike with pimped out Scion vehicles. The xB is arguably the most popular and there are tons of tuning parts available. With a base price of $15k and used examples right in the range of most, there can still be funds left over for some tuning parts. GReddy has turbo kits for pretty much every Japanese vehicle. And the Greddy Scion xB Turbo Kit will boost horsepower by a fair amount. The 2004 – 2006 model year Scion xB came with a puny 1.5 liter engine that only produced 108 horsepower. But with the addition of the GReddy kit, power gains can be almost as much as 50% more, resulting in about 150 HP. 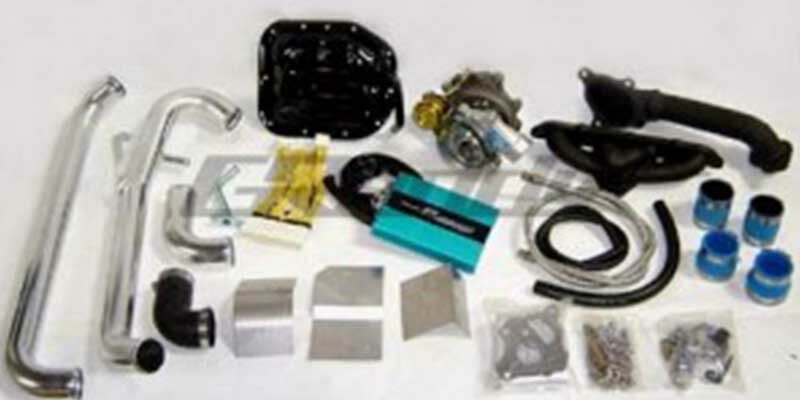 The Greddy Scion xB turbo kit comes with everything you need including a JDM turbocharger, cool intake called the Airlnx, exhaust manifold (which is cast iron for durability), the piping from the turbo to the throttle, a down pipe, and all the hardware. There is no need for an Intercooloer as this kit is only boosting a few pounds. This also keeps the cost down below $3k. Oh and all tuning is taken care of by the GReddy E-Manage ECU which retails for $1k by itself. The Scion xB Turbo Kit from GReddy is a great value for those who need a bit more horsepower out of their xB.